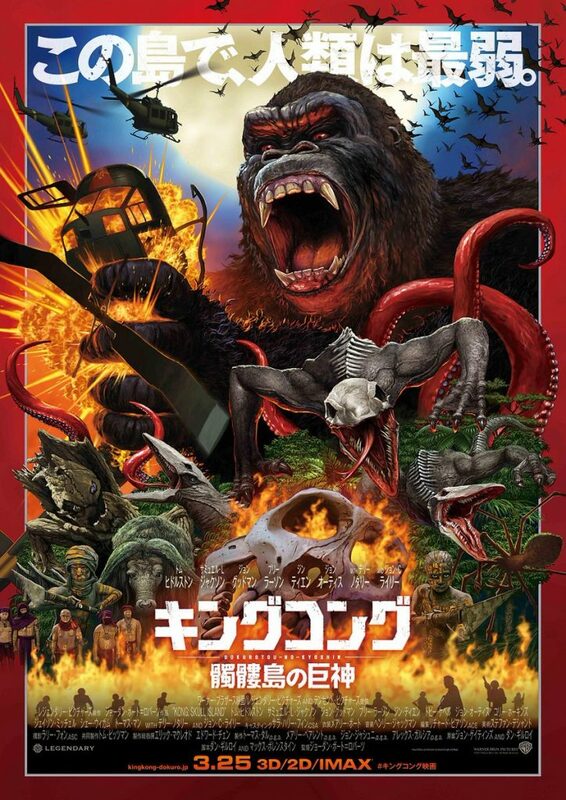 Yuji Kaida’s amazing poster for KONG: SKULL ISLAND! This month’s Daikaiju Discussion is all about a really big ape and the island on which he rules — that’s right, we are talking about Kong: Skull Island (2017) on this episode. It’s always a bit thrilling when we have a brand new movie to talk about, so spoilers ahead, people! Hey Jeff, Cannibal Holocaust Reference was absolutely intended! Kong: Skull Island Promotion with Footprints in LA! Godzilla Anime / Godzilla Monster Planet News! – Godzilla Anime placeholder on Netflix! It’s a MYSTERY SCIENCE THEATER 3000 TRAILER!! New Power Rangers movie apparently isn’t terrible! – 4/7 @ 9pm Kaijucast Listener Party at Monsterpalooza! *HELP SUPPORT BIOMAN ACTOR RYOSUKE SAKAMOTO – click here for more information! 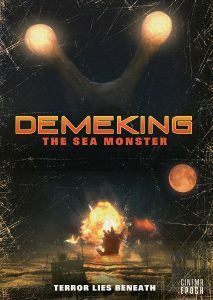 April’s movie is the not-as-well-known, possibly independent kaiju film from 2009, Demeking. This was released on DVD back when it came out, thanks to Cinema Epoch. Unfortunately, I never purchased that DVD, so we’re going to watch it online — I think via Youtube, so I have to figure that out. I would NOT suggest buying the DVD since it can be really expensive, thanks to the third party marketplace. Make sure to turn in your homework before April 22nd to have your thoughts included in the discussion episode!